I’m in Chicago! Got here in 8 hours and even stopped for about 20 minutes. I picked up David at 6am, and we arrived in Chicago at 2pm. 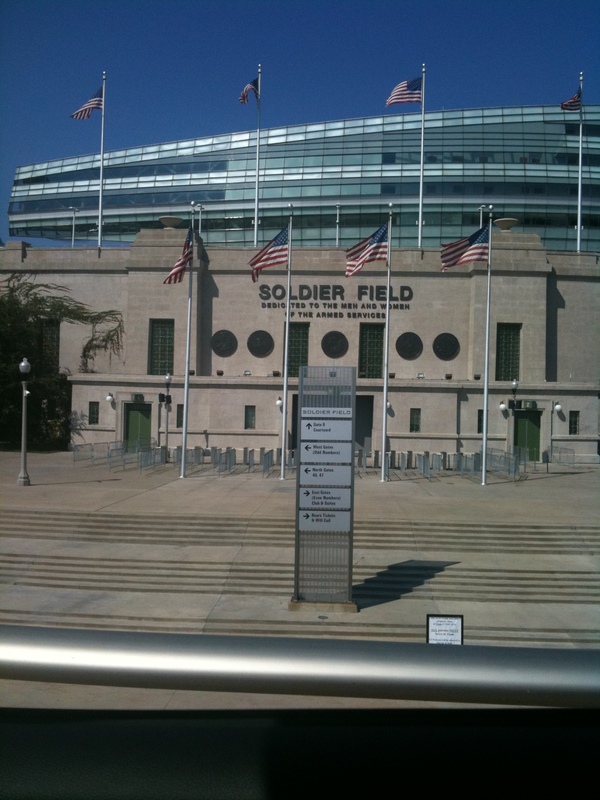 We went straight to Soldier Field, paid the $16 to park and looked for the GA line. Met a guy named Mark who told us where the line was. He is also going to be at the Atlanta show, so now I know someone. We got our wristbands #115 & 116 – and I got one for Tasha. The woman who gave us the wristbands was Angel, who was filling in for the #1 guy in line. We can’t get on the stadium lot until 6am tomorrow. We checked into the hotel, which is only about 5 minutes away. Parking is very expensive though. 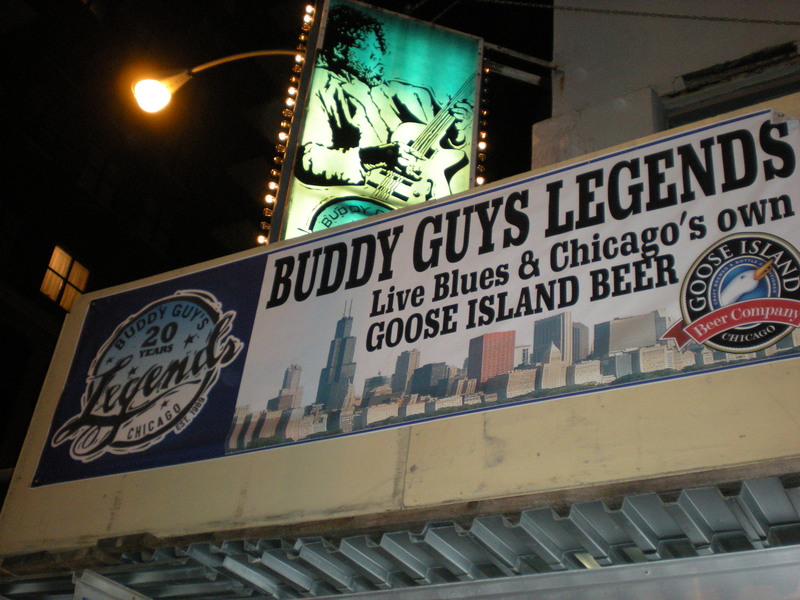 David and I went to Buddy Guy’s Blues Club for a beer. Sat at the bar. Cool, laid back place. No cover. Cool staff. And as we’re leaving in walks Buddy Guy! I freaked out and froze. Buddy stopped at the souvenir counter where I was going to buy a tee shirt. David asked him for a picture. Buddy said later. So we left. But it was still cool. 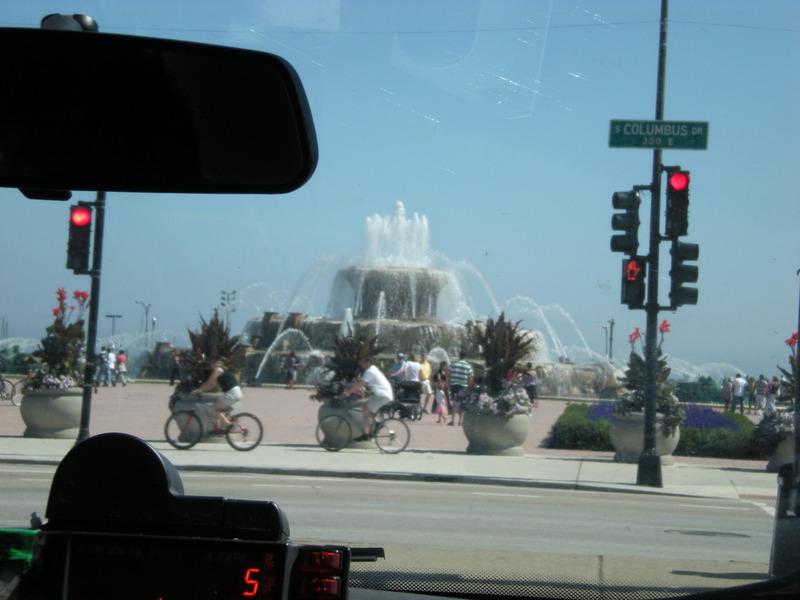 Then we walked down Michigan Avenue past Grant Park. Now waiting on Tasha. 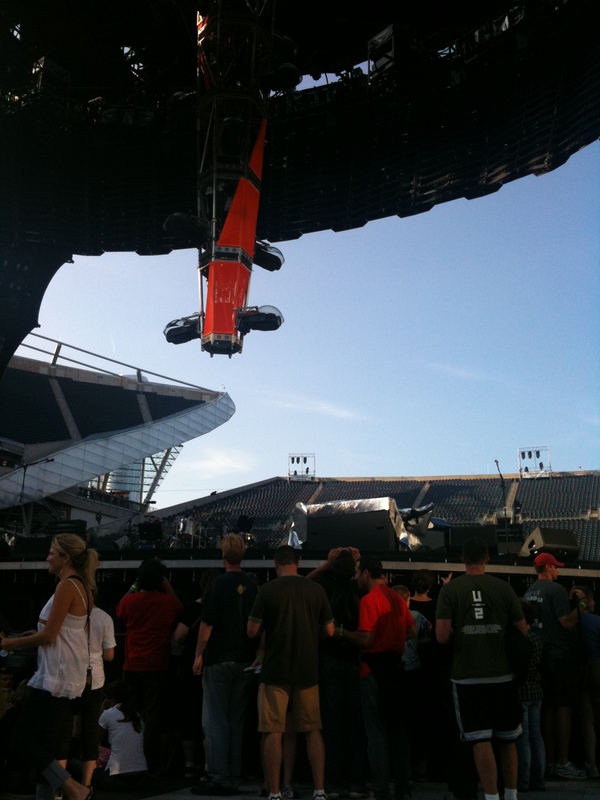 Saturday September 12, 2009 – CHICAGO 1 Opening Night! What a long day! Woke up at 5am. 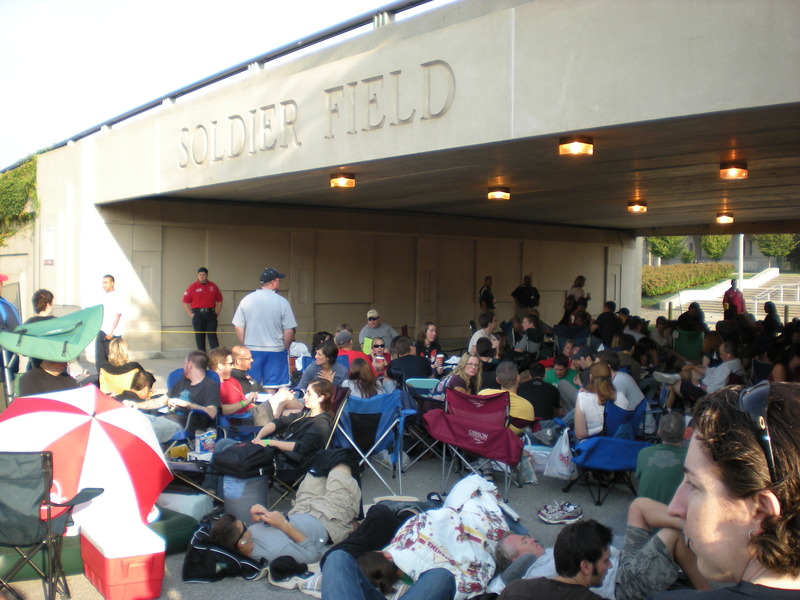 Was in the GA line at Soldier Field by 6am. Sat in the sun in the line all day! Got a little sunburned, but not terrible. Tasha and I had fun. Saw Jennifer, Claudia, Jenny, Kheila, Alice, Frank, Aaron and others from Elevation. And we made some new friends too – Leslie and Kendrick who were only 20 & 18 years old. The GA line was a little crowded and pushy, but not terrible. We got in and there was pushing and running and my wristband fell off and Tasha was yelling at me. We got inside the circle in the back on the rail a little right of center, which is where we wanted to be but as the concert went on people kept pushing back and it was just way too crowded for me. Snow Patrol opened. 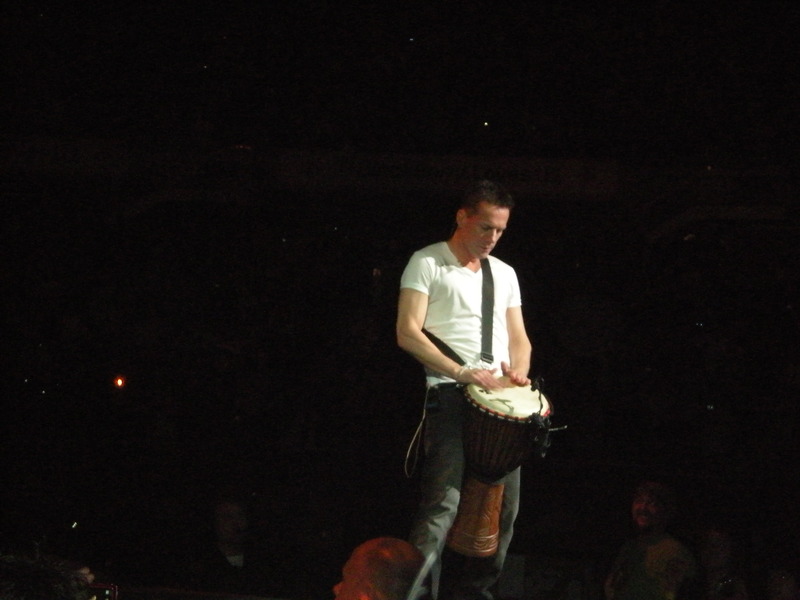 The concert opened with Larry playing the drums by himself then the rest of the band came out to ‘Breathe.’ Larry sang on Boots, Unknown Caller, and Moment of Surrender. He walked around during I’ll Go Crazy. 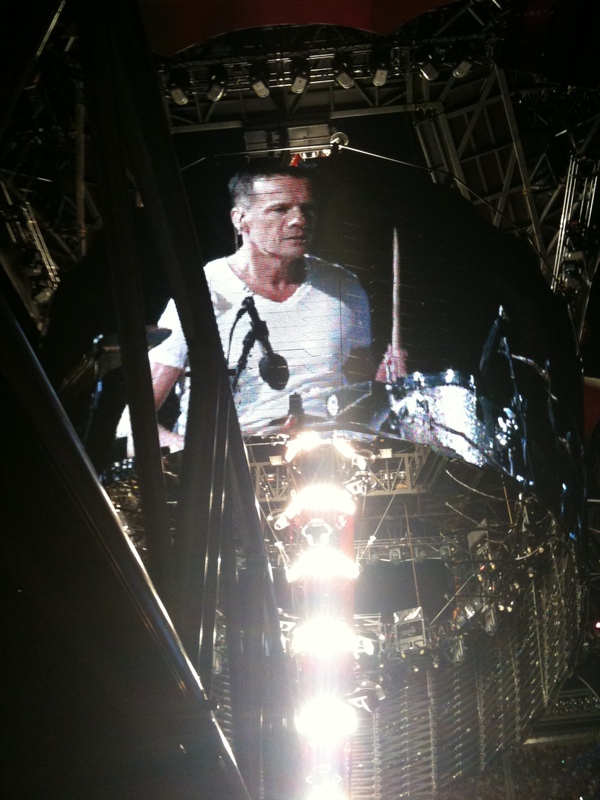 I was wearing my Larry Mullen Band tee shirt, but he didn’t stop in front of us. 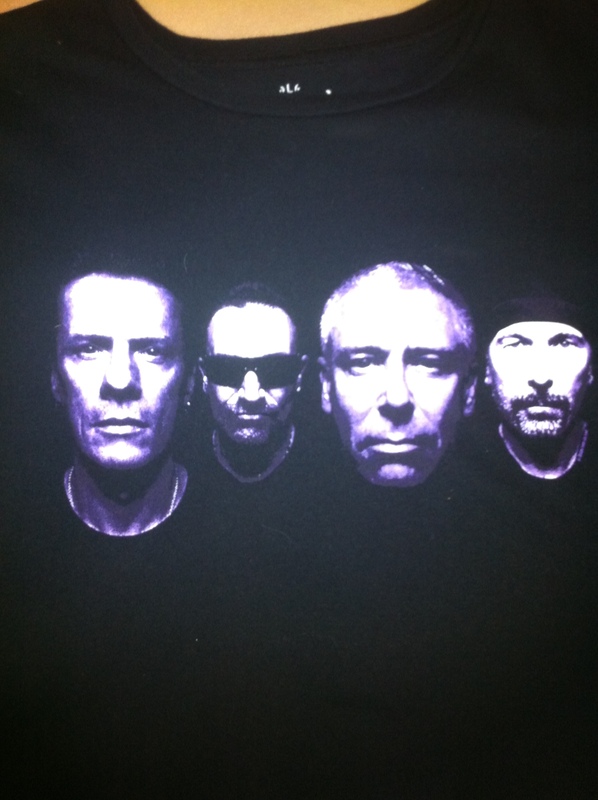 I heard ‘Unforgettable Fire’ for the first time! 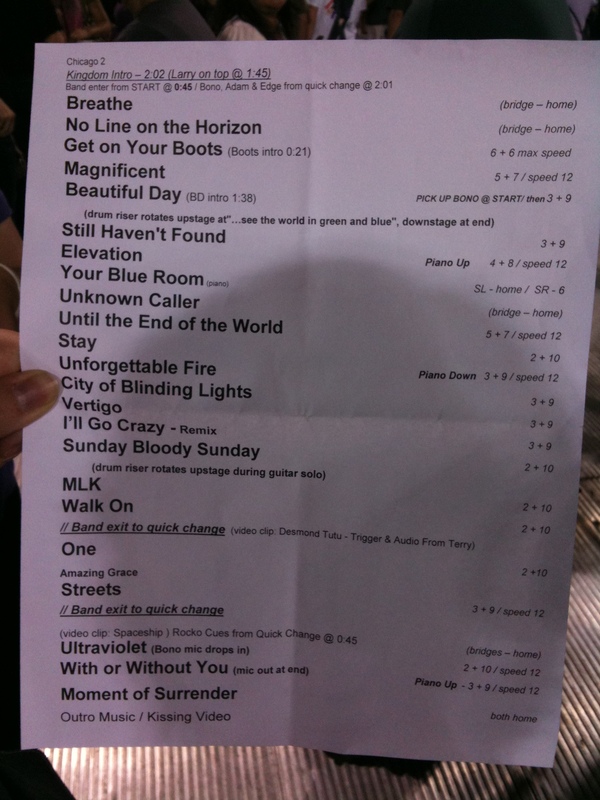 Also ‘MLK.’ They played Still Haven’t Found, Pride, Bad, Walk On, Stuck in a Moment, Elevation, Beautiful Day, Streets, With or Without You, Ultra Violet, Vertigo, City of Blinding Lights, One, Magnificent, No Line on the Horizon, Sunday Bloody Sunday. I loved this show! I was very emotional. I cried. I was so excited and so drained after. Just like the good old days of Elevation. We waited after the show only to let the traffic die down. Today was so much better and more relaxed than yesterday. We stayed in our hotel room until noon. 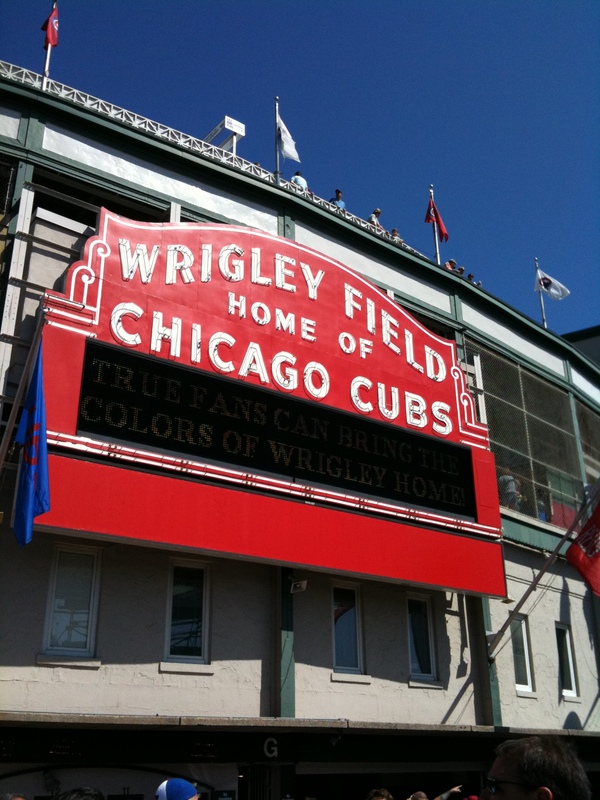 Tasha and I went to Wrigley Field for the Cubs game. I loved Wrigley! Great area. We took a cab there and back, so I got to see a lot more of the city. We only stayed for 4 innings of the game, but we walked all the way around the outside of Wrigley. I bought a tee shirt and keychain for myself and a pin for Dad. We got back to the hotel and took a little nap. 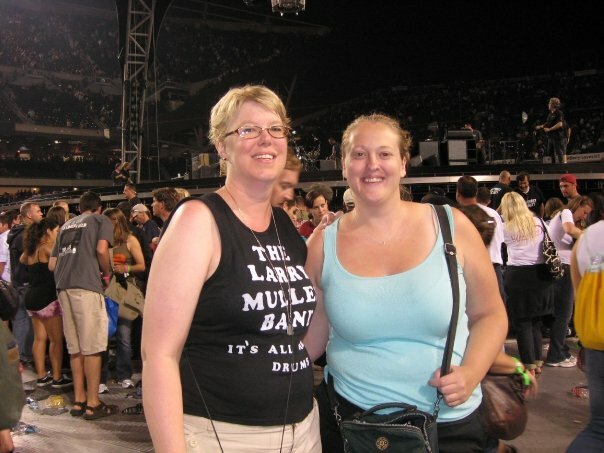 For the second U2 show at Soldier Field, I wore my white Larry Mullen Band shirt. We didn’t wait in the GA line. We went in after – around 6pm and got closer than last night and less crowded. 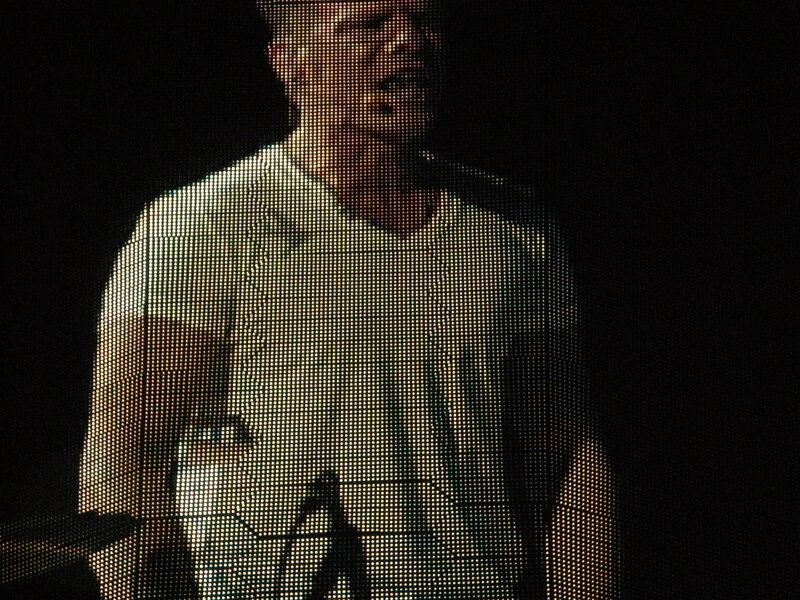 We were inside the circle on the side – Adam’s side. 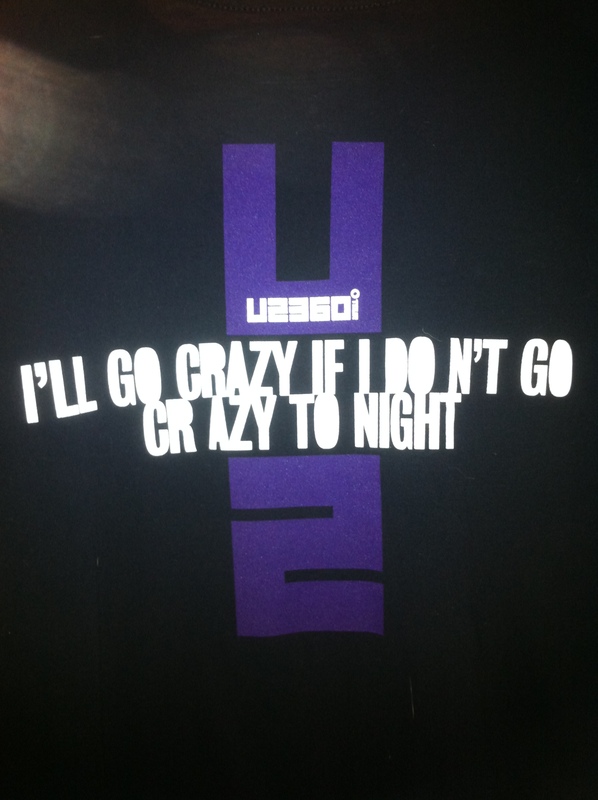 I couldn’t see Larry that well – except when he came on the catwalk during I’ll Go Crazy. 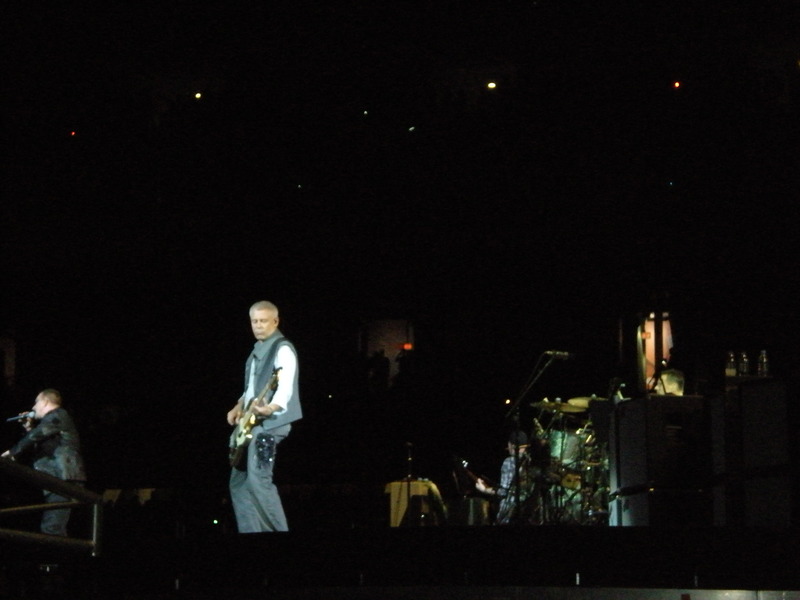 Changes in the set list tonight: U2 added Your Blue Room (played for the first time ever), Stay, Until the End of the World and took away Pride, Bad, Stuck in a Moment. Mike Elms stood with us. 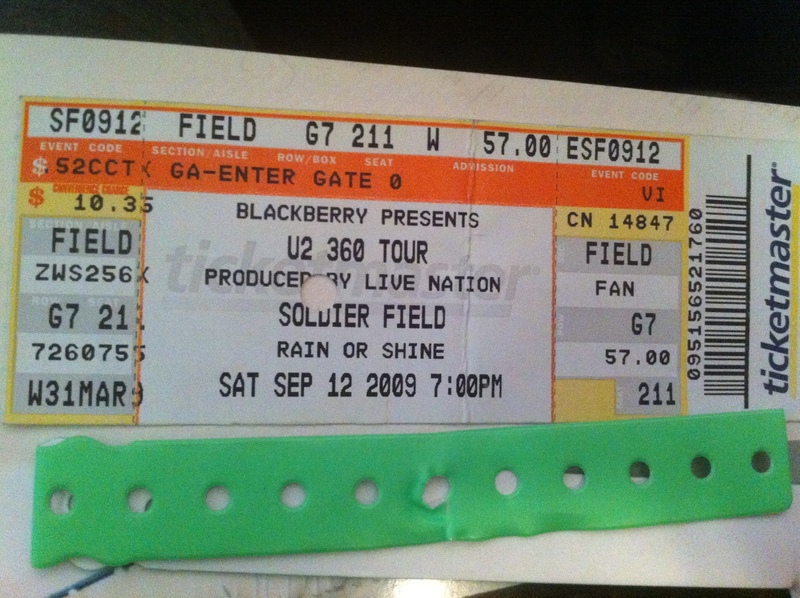 It was great to see U2 with him again – like old times. 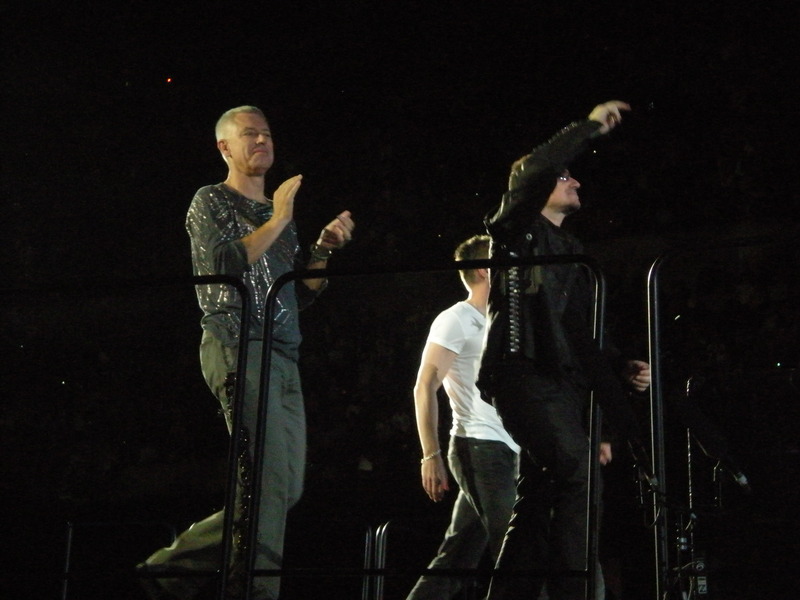 This 2nd U2 show was more relaxed and fun, but the first one was intense and exciting because it was the first one – all the Larry singing! I had a wonderful time in Chicago. 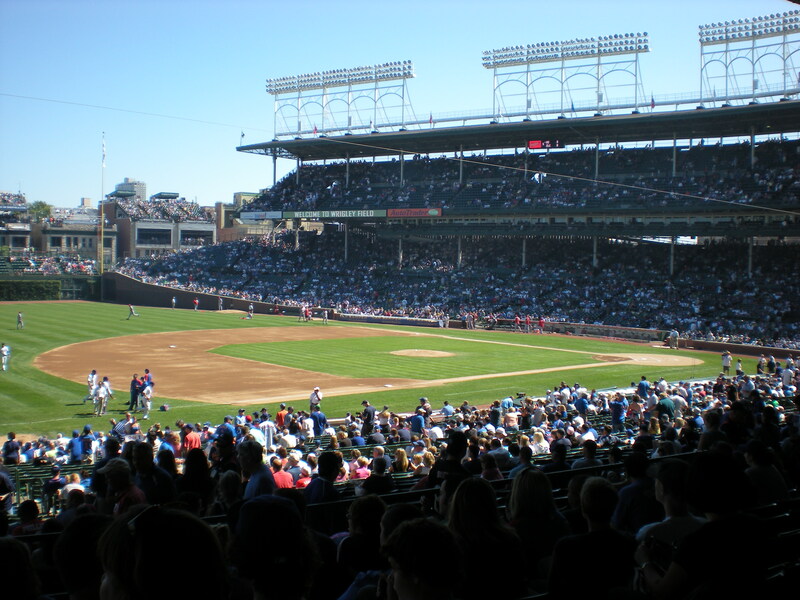 It was my first time there, and I had wanted to visit forever, especially Wrigley Field. I love Chicago! 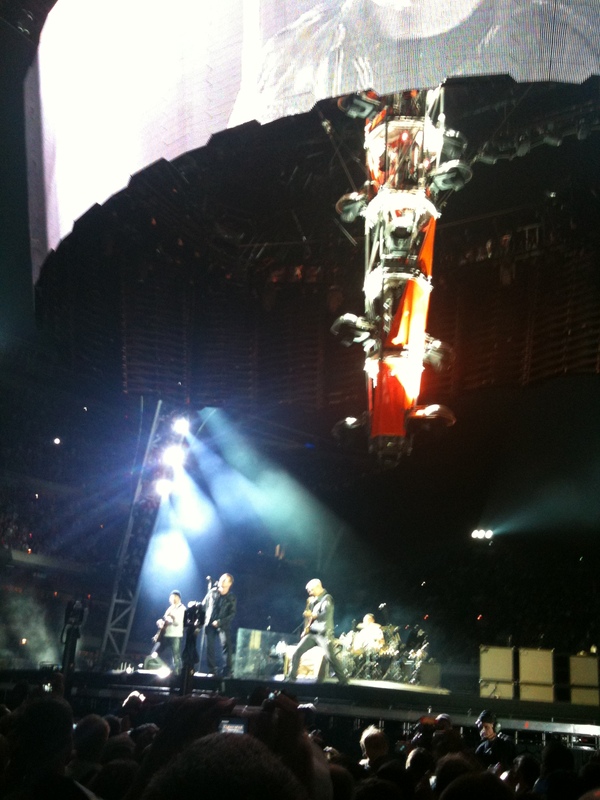 Although I didn’t know it at the time, that opening night show was to be one of my favorites of the tour. 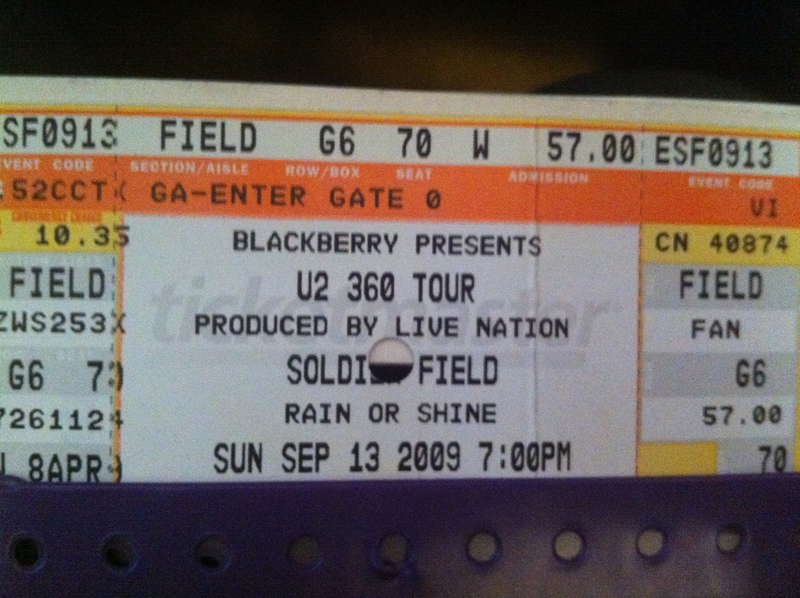 It was the only time I heard Bad and Pride this tour, and it was the first time I had ever heard Unforgettable Fire – all within my top 10 favorite U2 songs. To see all the pictures I took in Chicago, please click http://www.facebook.com/album.php?aid=107810&id=734599167&l=146563b57c or see the links for 360 pics on my homepage.